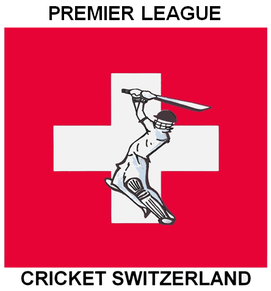 Cricket Switzerland has issued a press release informing its decision to rebrand its official 40 over league competition as Cricket Switzerland Premier League. The change of name comes into effect immediately. Asvin Lakkaraju, Cricket Switzerland's Compeititions' Chairman has indicated that name change was necessary to enhance the marketing of top grade club cricket in Switzerland, the first step of a cricket revolution being brought on by Cricket Switzerland in the Alpine country. 40 over cricket has been the top grade league competition for the last 25 years in Switzerland and is intensely competed among 13 clubs for the honor of being declared as champions in September. Divided into two divisions of east and west Switzerland, the top two teams of the divisions qualify in the semi finals and winners play against each other to become the premier league champions. The first of the Premier League games is scheduled for Sunday 10th May between Uprising Cricket Club and Swiss Colts at Vernier, Geneva. Details of fixtures, results and league tables are available from the Cricket Switzerland website. All other enquiries should be directed to Asvin Lakkaraju.